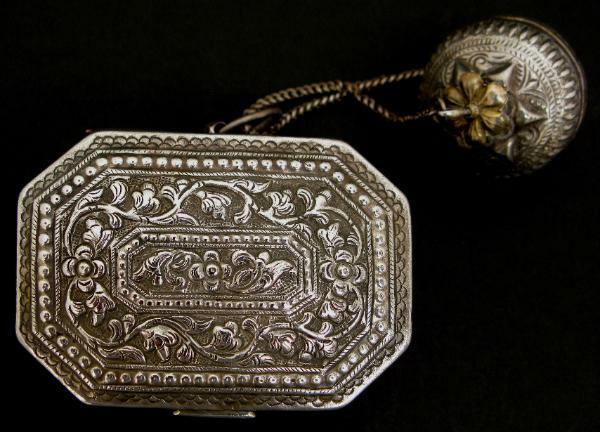 This pleasing silver box has a good weight and was used to store and carry small quantities of betel or tobacco. The tight-fitting, hinged lid is repoussed and chased with typically Islamic Malay scrolling vegetal motifs. The sides are chased with more scrolling motifs. 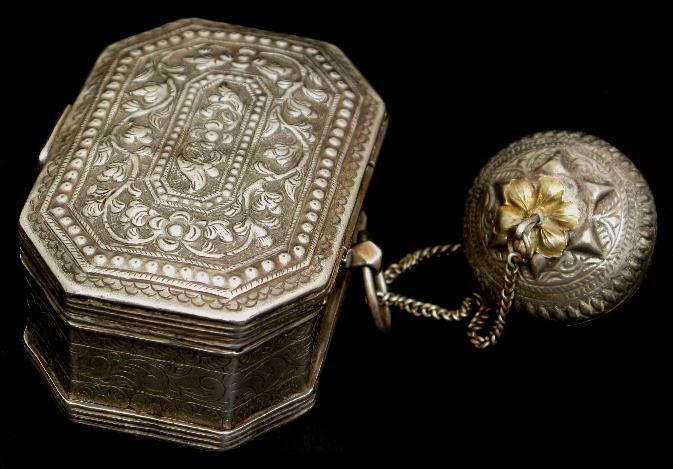 Attached to the box by means of a silver chain is a small spherical silver lime container that retains lime residue. On either side of the lime sphere are thin plates, most probably in low-carat gold, in the form of a flower.